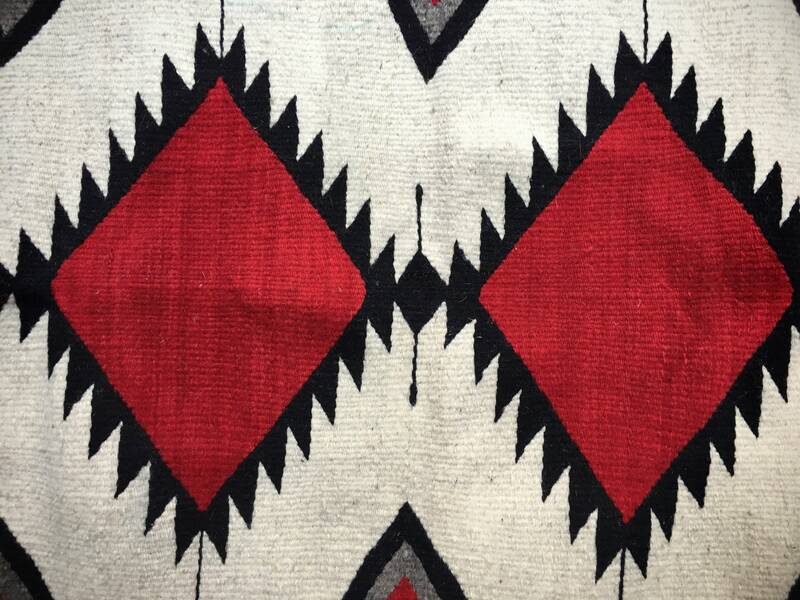 Here we have a vibrant Zapotec woven wool rug from Teotitlan del Valle, Oaxaca, Mexico. 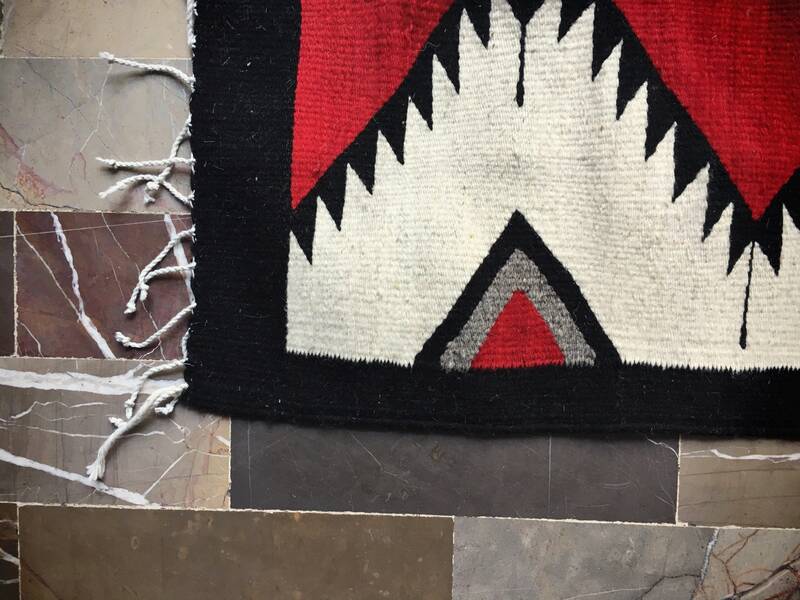 This piece hits home for me that the indigenous peoples of the Southwest shared many artistic forms, and weaving was one. 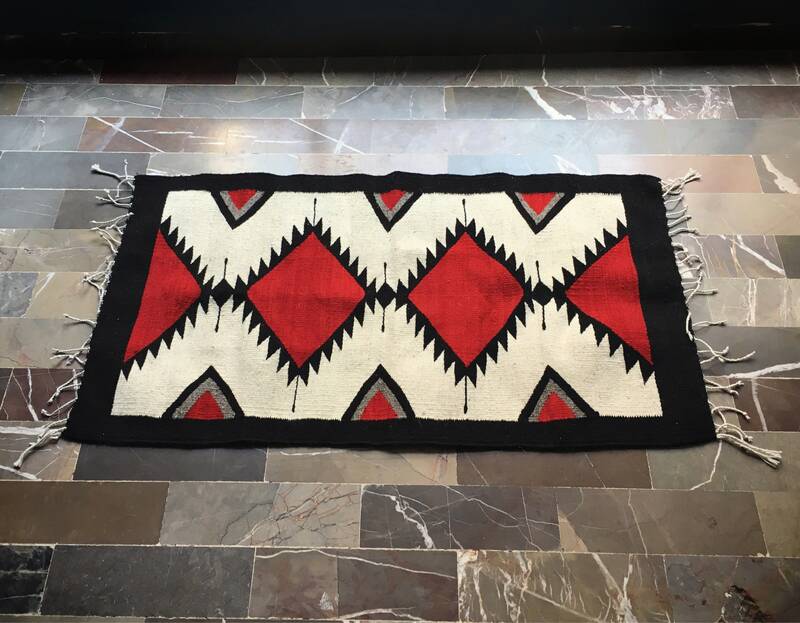 And with the red, white, and black, this Mexican rug above any others I've ever owned or sold, has a distinctly Navajo feel to it. 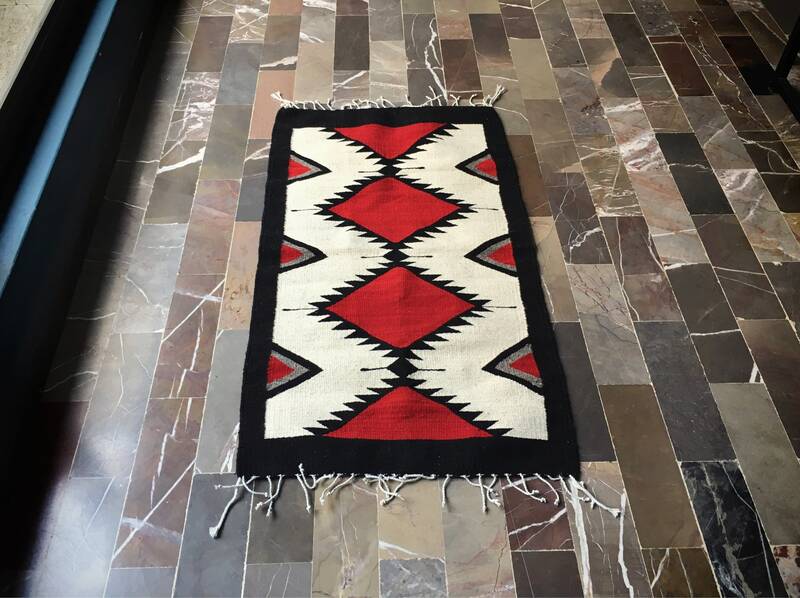 It will add a touch of the Southwest to your room, and it makes a stunning wall hanging if you choose to use it that way instead of on the floor. Measures about 23" (just under two feet) wide by 41" (3.42 feet) long. 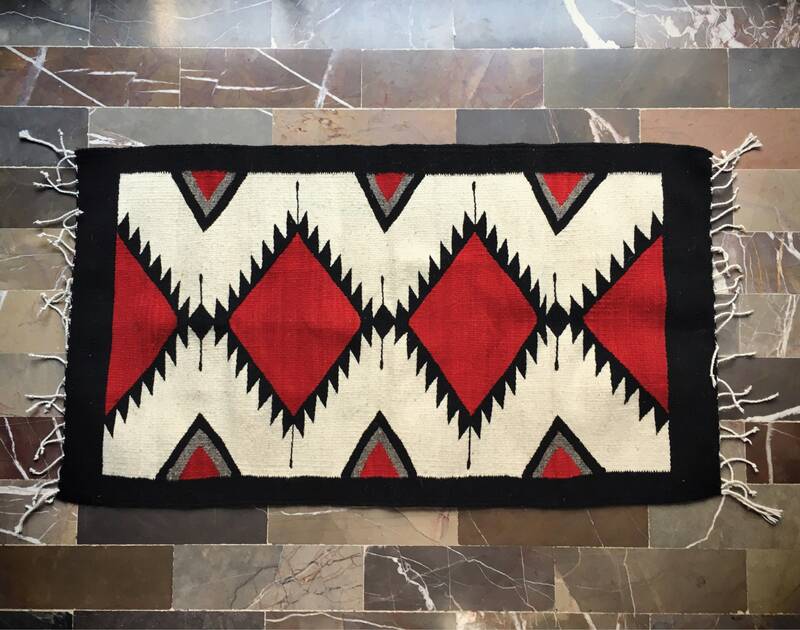 Colors are vibrant, especially that red, which pops against the white, and black. In good condition.